Soup has always been a family favourite with us. 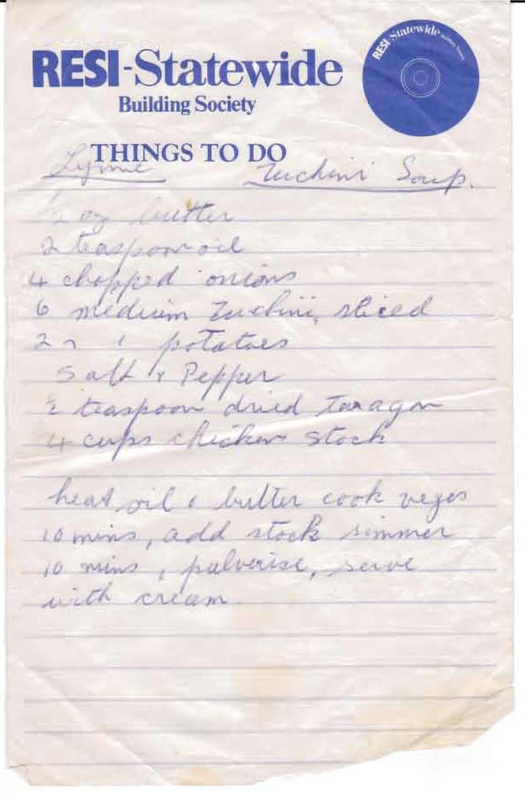 In the early days Mum made soup using soup bones from the butcher to which she would add lots of vegetables – onions, carrots, celery, turnips and whatever else she had on hand. Once it had all boiled for a couple of hours it was left to cool, the bones were removed and the fat skimmed off the surface before reboiling and eaten. This recipe is one I gave her and I expect she liked it as it was quicker and easier to make. Heat oil and butter, cook vegetables 10 minutes, add stock and seasonings simmer 10 minutes, pulverise, serve with cream.